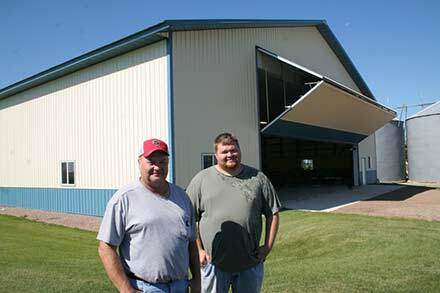 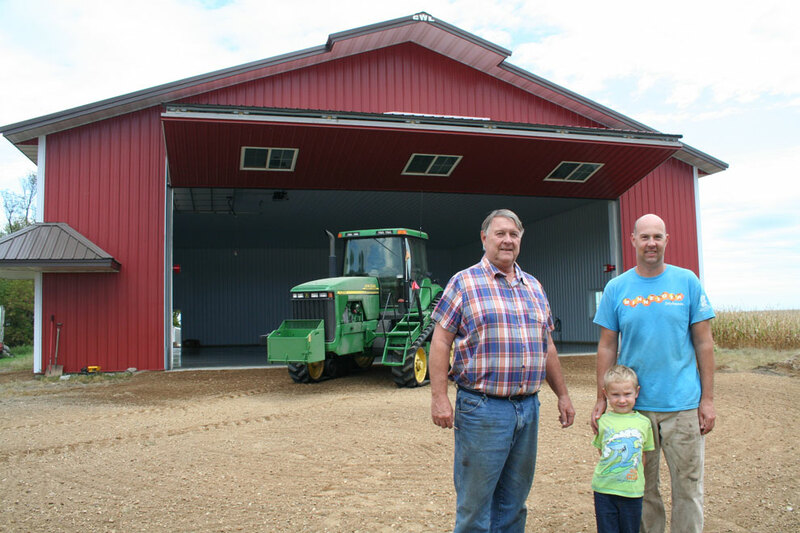 Three generations of Schanil's stand in front of their new pole barn with a 40' x 18' Schweiss bifold liftstrap door. 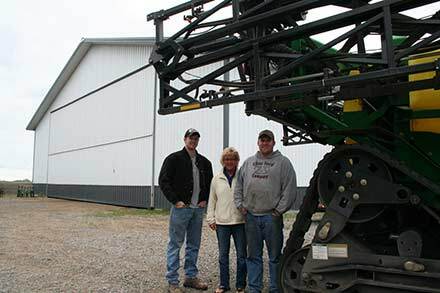 They include, from left, Tom, Dylan and Jason. 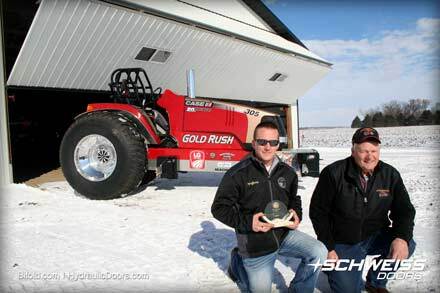 The Schanil's farm north of Hector, MN. 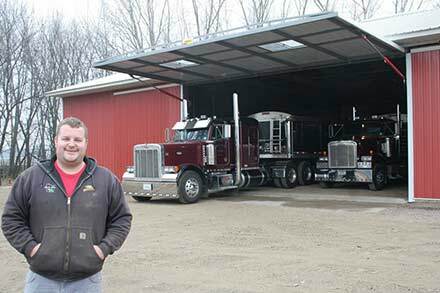 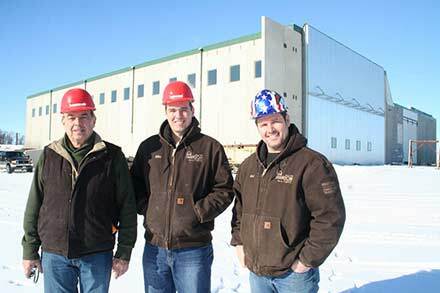 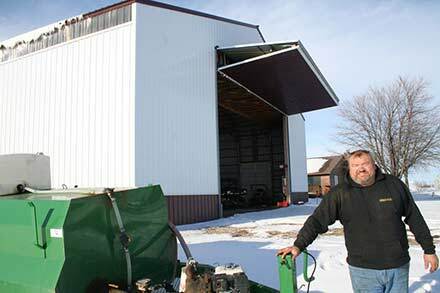 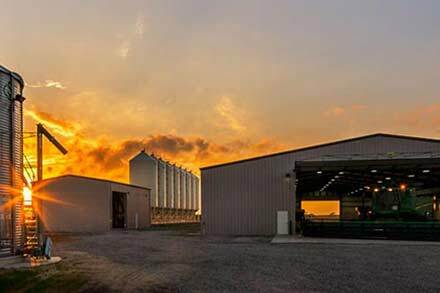 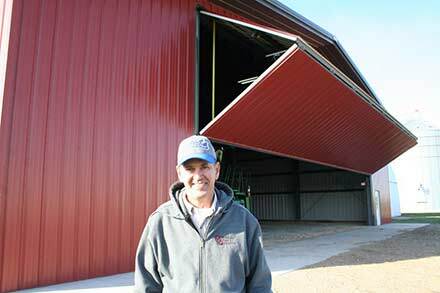 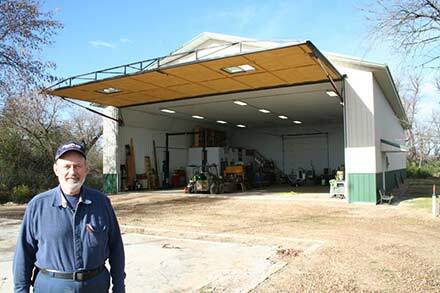 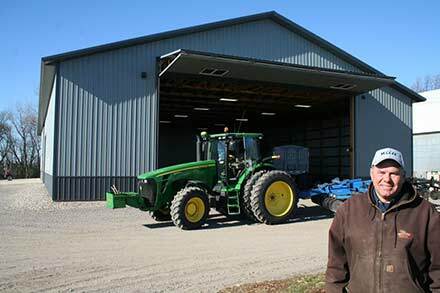 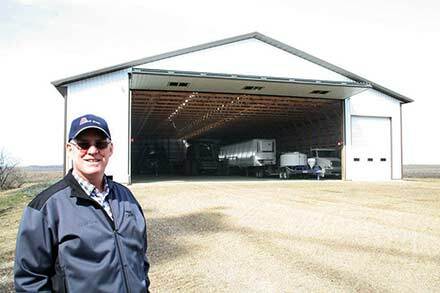 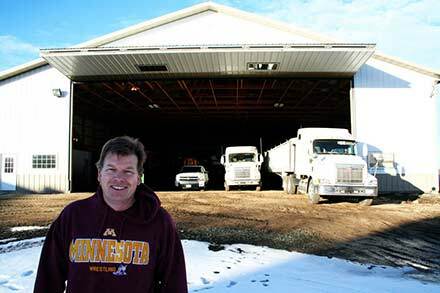 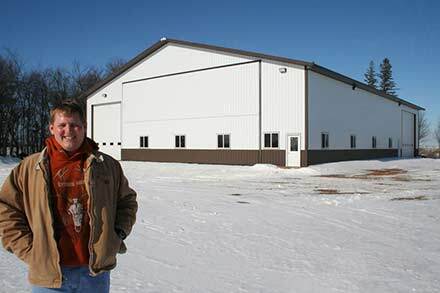 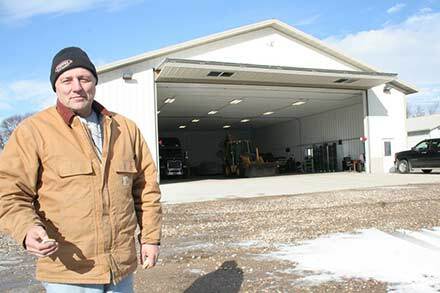 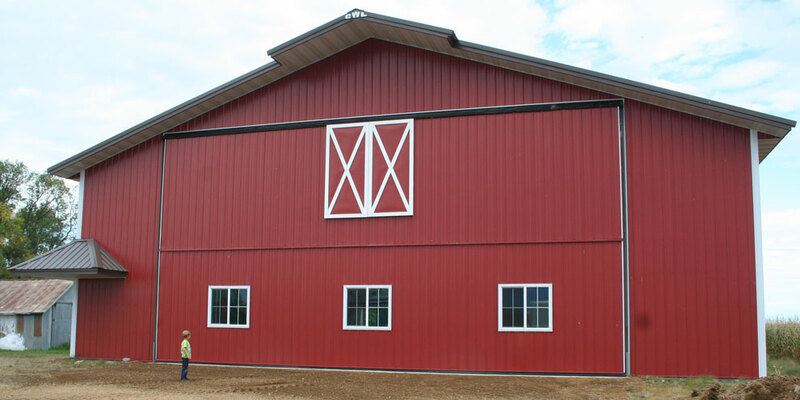 You don't see many barns being put up on farms these days, but Tom Schanil and his son, Jason, who farm north of Hector, MN did the next best thing by having Country Wide Lumber erect a 60' x 72' 18' sidewall building that somewhat resembles the barns of yesteryear. 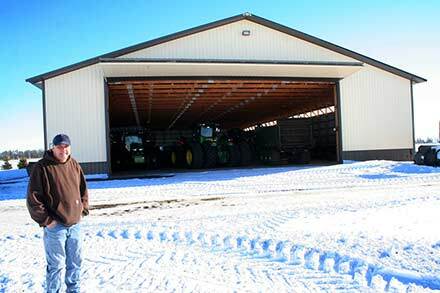 There's headroom to spare for Jason Schanil's four-year-old son, Dylan. 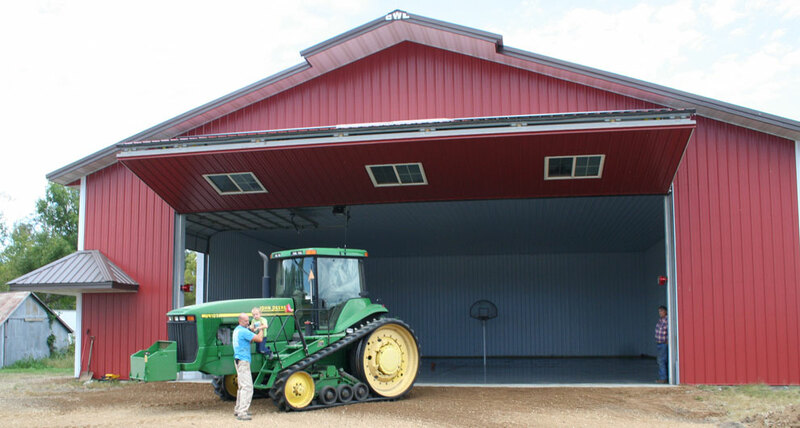 The new machine shed has an attractive barn-style look with windows on the bifold door and a decorative haymow door design on the top half of the door. 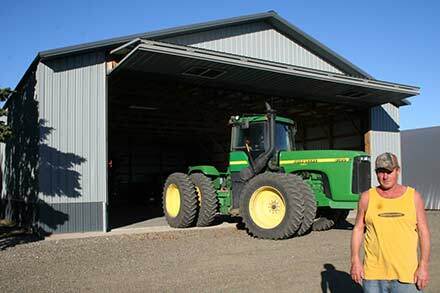 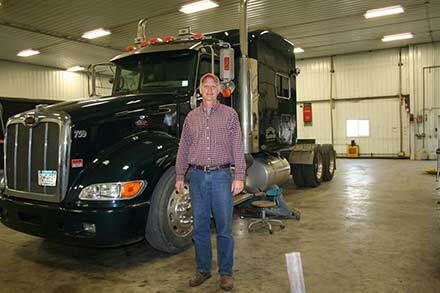 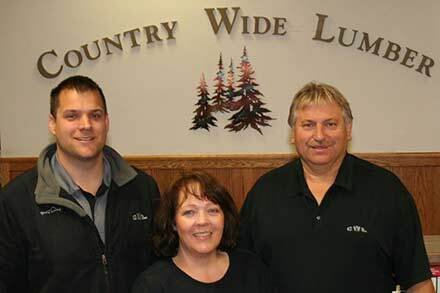 Jason decided not long ago to return his family to the farm after working 20 years in the Twin Cities as a supervisor at a R&D lab where they specialized in CAT high pressure water pumps. 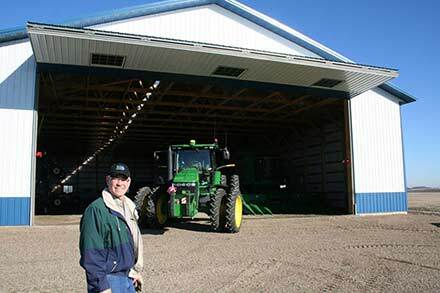 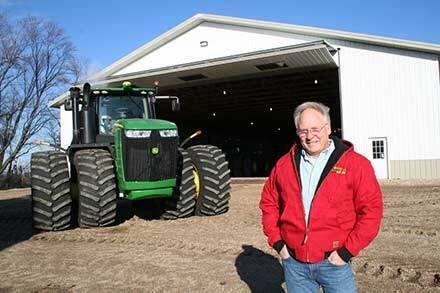 They grow corn, soybeans and sweetcorn on their 450 tillable acres. 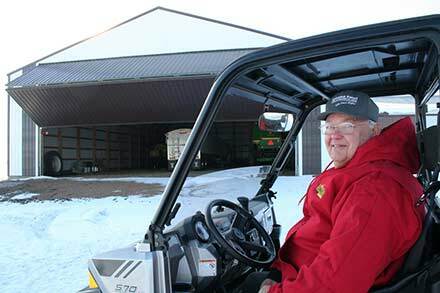 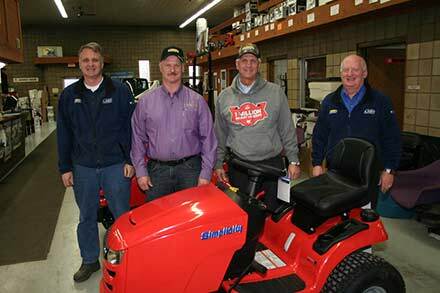 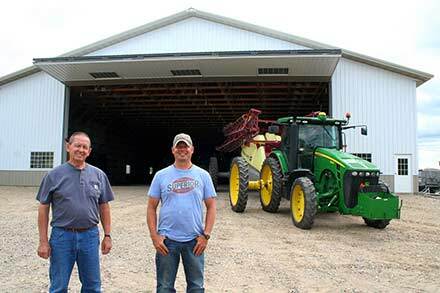 The farm has been in the family since 1946 with Tom's dad, Frank, and then under the operation of Tom's brother, Jerome, before Tom bought his part of the farm. 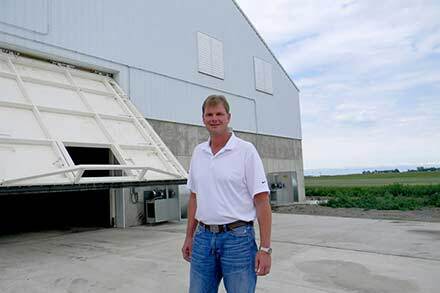 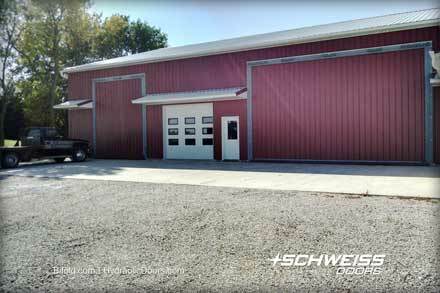 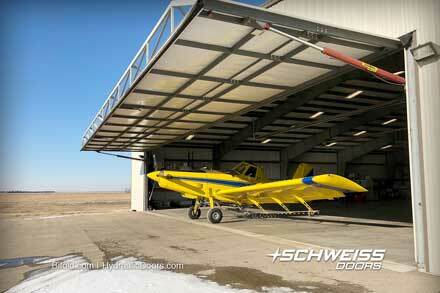 The 18' tall Schweiss bifold door also gives the farm operation the headroom they didn't have before for their biggest planter, combine and other machinery. 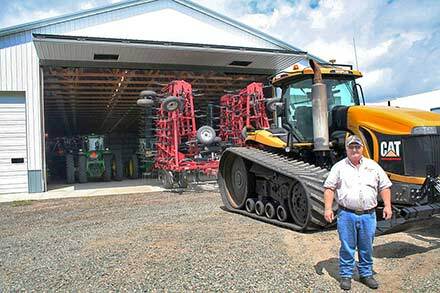 He said they chose the size door they did so they could get their planter in without having to fold it and they needed a door high enough to make sure the combine would fit in. 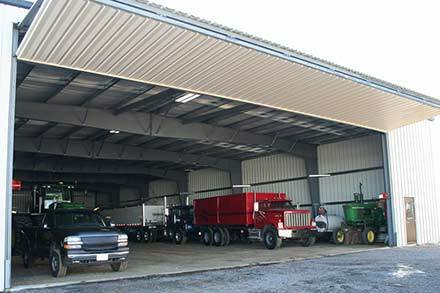 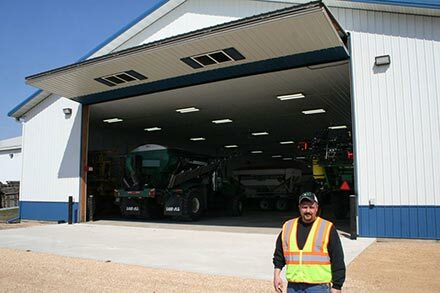 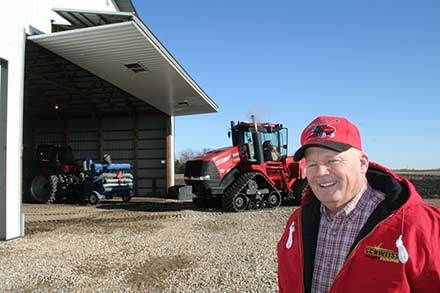 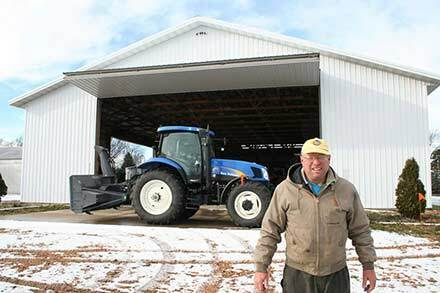 The Schanil's like the quick opening operation of their bifold door that also is equipped with a remote opener that can be engaged from the cab of their tractor or combine. 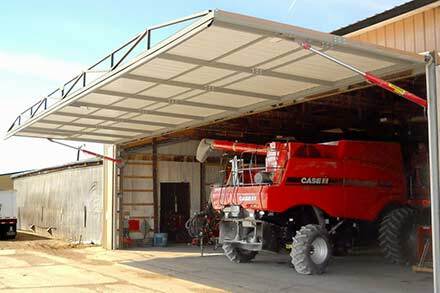 Five strong liftstraps easily lift the 40' x 18' bifold door. 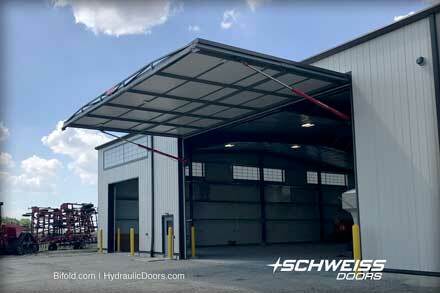 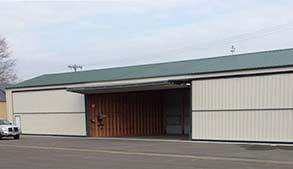 The door is also equipped with an automatic latching and locking system that holds it weathertight to the building. 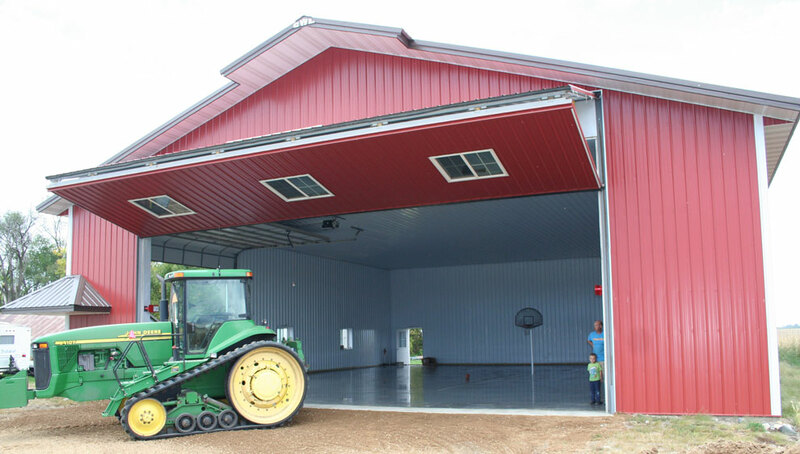 The new 60' x 72' farm building is a work in progress. 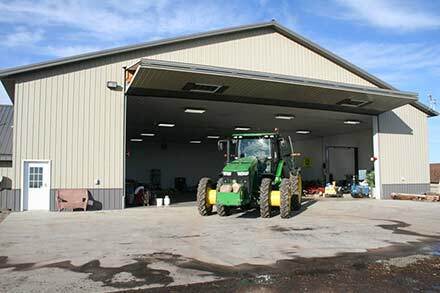 A cement floor was just poured and plans are to have it heated so it can be used as a farm shop. 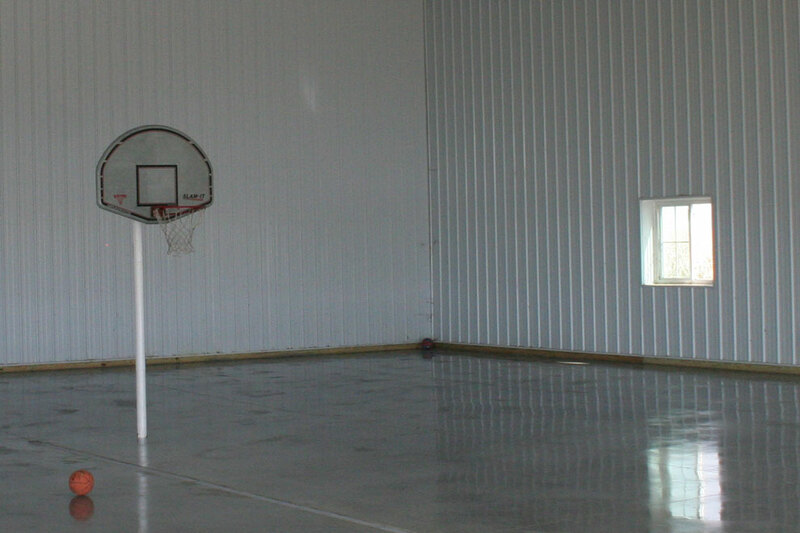 The basketball hoop is an added attraction for Tom's grandchildren. 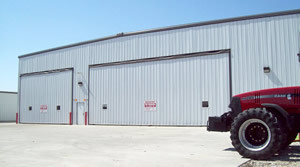 Three 4' x 4' windows on the bifold door and side windows give the building an adequate amount of available light inside. 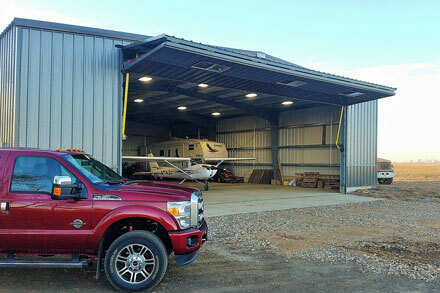 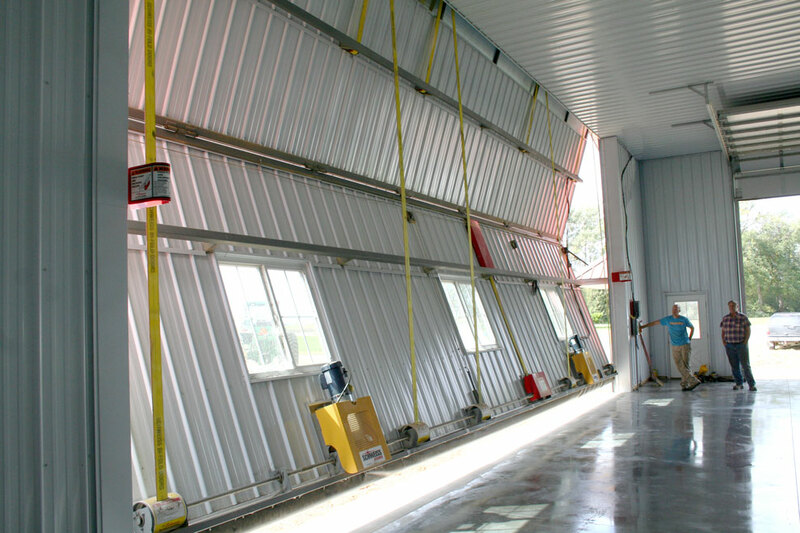 An overhead door on the side will be used for access for smaller equipment such as pickup trucks and the like. 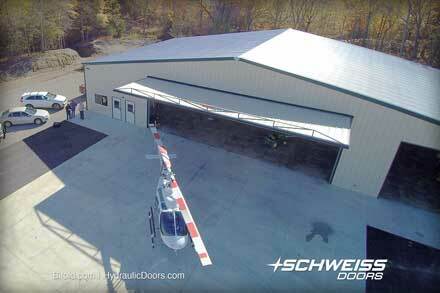 When the Schweiss bifold door is open it provides a nice shaded canopy. 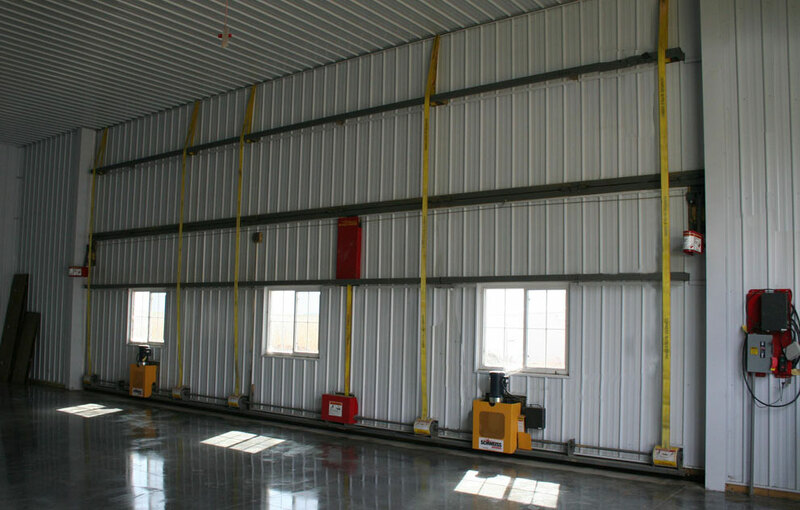 The interior of the building is paneled and insulated throughout.